In the past few years there has been a surge in the quality and quantity of jihadi media, evident from the wealth of texts, films, and other multimedia content that is distributed by Islamist websites on a daily basis. What started as a handful of jihadi media organizations in the early 2000s has within just a few years mushroomed into a vast network of regional and international media branches throughout the Middle East, Asia, the Americas, and Europe. Surprisingly, these news outlets which claim to operate independently from each other and autonomously from a global umbrella organization, exhibited only a modest learning curve. The professional quality of their news productions is indistinguishable from that of most Middle Eastern mainstream broadcast channels such as Al-Jazeera. Moreover, the product that they purportedly create independently across multiple theaters of operation is uniform in both style and content and conforms to commercial media standards. In this post we will examine these implicit and explicit claims of independence and try to determine if the jihadi media outlets—whether global or local—are operating under a centralized organization with a coordinated media network (which more resembles a large news cooperation) rather than local grassroots cells. Aside from these four organizations which monopolized the mainstream jihadi media landscape, there was a multitude of smaller outlets that ostensibly acted as independent distributers of jihadi material (Figure 2). Over the next six years, many of these previously unknown entities began producing regional content specializing mostly in low visibility conflict areas. The content generated by these secondary media organizations encompassed multiple subjects such as battlefield operations, news releases, and political commentary. The content was multilingual, carefully scripted, and edited to reasonable broadcast standards, and targeted both domestic and international audiences. Though the secondary jihadi news outlets (SJNO) appeared to brand the media as their own, the evidence raises doubts regarding the actual independence of these outlets. As autonomous local media producers and distributors with a limited budget, we would expect SJNO to utilize only low cost and free Web 2.0-3.0 publication platforms such as video-sharing sites (e.g. YouTube and LiveLeak), third-party websites, forums, and blogs to distribute their own material independently. Yet, often SJNO have their films and texts distributed simultaneously by multiple mainstream news outlets using expensive broadcast TV and satellite channels. In terms of scope and outreach, these organizations successfully emulated the broadcast models of large news networks such as the BBC and France 2. 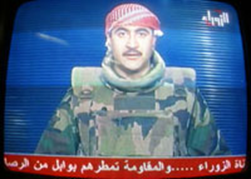 A case in point is Zawraa TV, which later became Al-Rai TV. 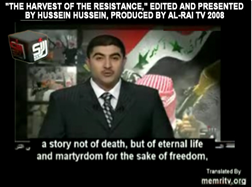 This Syrian-based channel, owned by Mish’an Al-Jabouri, transmitted looped satellite programming focusing mainly on pro-Sunni, anti-Shi’ite propaganda, and broadcasted 24/7 footage including violent attacks by local jihad organizations against U.S. forces. The channel made no effort to hide its affiliation with the jihadi groups as logos of the Islamic Army of Iraq (IAI) and other jihadi organizations periodically appeared in its footage and films. As can be seen from Figures 4-5, in this dual mode, the host of the show would periodically assume the role of a pistolero by shedding his tailored suit and slip into army fatigues, bullet proof vest, and a keffiyeh. Clearly, the relations between Al-Rai and the SJNO whose products the channel broadcasted were not the typical business relations one would expect to find between a commercial TV station and an advertising client. If Al-Rai TV was true commercial for profit television, broadcasting through it would not have been economically feasible for the SJNO. The fact that the channel mostly devoted itself to broadcasting SJNO video and commentary suggests that the relationship between the two was more political/ideological than commercial. The presence of metadata in the jihadi film footage is another indication that the videos are intended for broadcast and not merely for online circulation. Metadata, which is attached to films, consist of digital information intended to describe and identify the media, similar to information a library would attach to a book in its catalogue to describe and identify it. In the case of jihadi films, the metadata usually consist of the media title, a short abstract, the name of the organization, the date of the event, the film’s duration, the logo of the producing organization, and other catalog details. Adding such data in post production is a time-consuming undertaking, considering the hundreds of films jihadists produce annually. Such an effort would only make sense in the context of a well-established archival and content managed system as is typical of a larger media organization. For large digital archives, metadata is crucial, as it allows fast indexed access to the content and enables fast retrieval so that there would be no need to view each film. For local media branches, creating all of this metadata would be time consuming and would require editor and librarian resources, just as creating a full library book cataloging system would be impractical for the private individual with a few hundred books in their library. Evidence of how these films are packaged and produced further supports the argument that these videos are designed for commercial broadcasting and thus are most likely created by large media organizations. Videos of IED attacks, for example, have all the necessary “ingredients” for primetime viewing. They are high quality; they are short (up to 90 seconds) and include all the crucial background information about the organization carrying out the attack as well as about the attack itself. In a sense, they are created as self-contained infomercials made to fit a rigid television programming schedule. Such a format would be unnecessary if the films were intended for random distribution on the internet, where video clips can be uploaded and viewed in many formats, lengths, and qualities. Another feature which makes it unlikely that the videos are produced by local media branches is the fact that their content is produced in multiple languages (i.e. Arabic, English, French, German, etc. ), packaged in varying formats (i.e. Windows Media Player, Quick Time, RealPlayer, etc.) and recorded for diverse narrowcasting and audiences (in a wide range of formats and sizes, for high-speed Internet, dialup connections, embedded use, and mobile devices). Such complex, professional, and very expensive production would be prohibitive for field outlets. Moreover, for local groups which simply wish to publicize their successes, such complex production would be overkill as they could achieve their goal by relying on video-sharing sites or jihad forums for posting their films. As can be seen in Figure 7, a comparison of films of similar genre (attacks using IEDs) produced by three ostensibly distinct and geographically remote jihadi media outlets reveals a high level of similarity. The films’ length in all cases is approximately 90 seconds. All clips open with high impact logos and special effects animation. Each frame’s duration prior to the transition is carefully timed, with the initial intro followed by special effect screens and the clip title. The message after the title usually shows a Quranic verse or other religious text followed by the feature movie with the targets of interest usually tracked by either an arrow or a circle. The moment of the attack is replayed three times and then, finally, the film ends with credits and organizational logos. Needless to say, such a definable formulaic pattern cannot be accidental. The distribution of jihadi film content is almost never done ad hoc; rather, it is done according to a pre-planned schedule. Analysis of the main jihadi media archives as far back as 2006 reveals a steady flow of postings to fileshare sites such as Archive.org, Adrive, Zshare, FDCupload, and gettyfile. 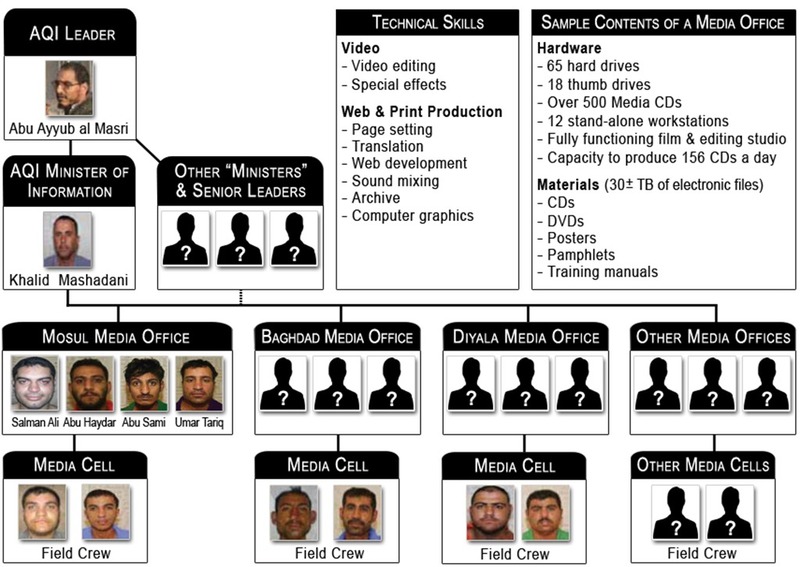 How they are organized and classified is more easily seen at websites such as As-sahab.blog.com and the jihad archive http://www.jarchive.info. An examination of new online jihadist films and stills indicates that a great deal of the material was scheduled in advance for distribution and publication. This was done as part of the ongoing effort to keep the war effort on the front burner by taking advantage of the mainstream media’s gullibility and willingness to broadcast these materials whenever they become available. The release of these materials indicates that there is a significant amount of regional field coordination of insurgency activity and there is a planned broadcasting schedule. It also indicates that media is maintained in some form of global archival infrastructure. A vivid illustration of this throttling method of opportunistically posting content can be seen in a video clip titled “IED Completely Destroys a US Minesweeper – Ninawa Province – Mosul,” documenting a November 14, 2006 attack that was released over six months later, on May 22, 2007. Another example is a clip titled “Shooting a F16 US Plane,” an incident documented as having taken place on November 27, 2006, while the clip was released nearly a year later, on September 13, 2007. Is There a Global Jihadi Media Policy? Evidence suggests that jihadi media follows a global policy. For example, a “Media Exuberance” document released by the Al-Boraq media group on September 21, 2006 indicates that jihad media production must abide by legal mandates and guidelines regarding plagiarism, alteration of content, source crediting, and media usage. This strongly implies the existence of an umbrella organization which sets rules and professional standards aimed at better message control, brand building, and further reinforces the trans-regional media production theory. 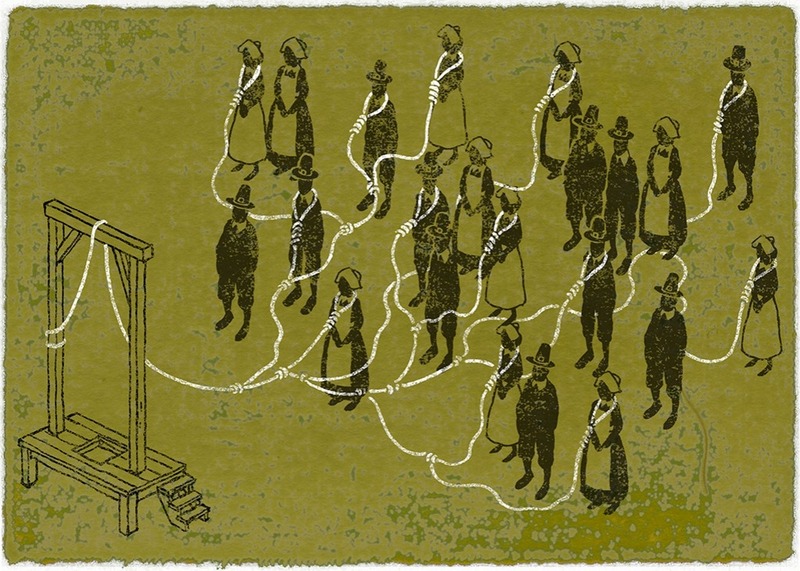 Centralized or Independent Media Production? The frequent adherence to traditional content distribution of jihadi media, as opposed to reliance on low cost or free Web 2.0-3.0 publication platforms such as wikis, blogs and mashups, as well as the creation of metadata, the expensive and sophisticated contents packaging, the uniform appearance of the various media elements, the staged publication schedule, and the apparent global jihad media policy all suggest that what is ostensibly a production by local and independent jihad media entities could in fact mask a spoke and hub centralized organizational structure. In this scenario, a patchwork of regional field offices and cells maintain territorial presence in various parts of the world, (Iraq, Afghanistan, Algeria, Somalia, Gaza), collecting raw footage. They upload/deliver the content to centralized media studios—either state-sponsored or private—which process and brand it accordingly and distribute it to the appropriate regional media outlets. The production and branding, however, is virtual, and is carried out remotely in well-equipped studios with professional video editors and in safe locations away from the conflict zone. The 2007 arrest of members of the Al-Furqan media organization by U.S. intelligence may help shed some light on this process. According to the case details, regional Al-Furqan teams gathered the raw material from various provinces in Iraq and passed it on to a larger Iraqi Al-Furqan media hub for processing. Surprisingly, this hub, which had a large amount of media storage devices (65 hard drives containing terabytes of electronic files, 18 thumb drives, over 500 CDs, and 12 standalone computers), did not have the proper editing equipment that one would expect to find in a media center that creates films on the advanced level of the Al-Furqan videos. The captured equipment, appeared to be more for field packaging and distribution of copies of existing product rather than for creating the master itself. This equipment could not have independently produced the Al-Furqan films which contain blue-screen editing, multi-frame overlays, spliced third-party archival material, usage of multiple soundtracks, and the ability to perform blurring facial features, tracking objects—post processing and editing features and techniques which require sophisticated equipment and software usually only found in larger production studios. The case of Said Namouh, a Moroccan-born Canadian citizen arrested and convicted as a member of the Global Islamic Media Front (GIMF), offers important insight into how local jihadi news is produced in more of a global fashion. According to the court documents, Namouh spent countless hours translating, mixing, repackaging, and distributing numerous videos from diverse geographical locations that included images of attacks against coalition soldiers and of suicide bombings. After his arrest, investigators found videos and other propaganda materials on his computer. It emerged that he had been in charge of publishing video and materials related to Iraqi, Austrian, German, and Gaza terror activities (such as the kidnapping of BBC journalist Alan Johnston by a Palestinian group known as the Army of Islam). The question, however, remains: who are the state(s) sponsors or large commercial news organizations behind these global media productions? The data at hand does not provide a specific answer. 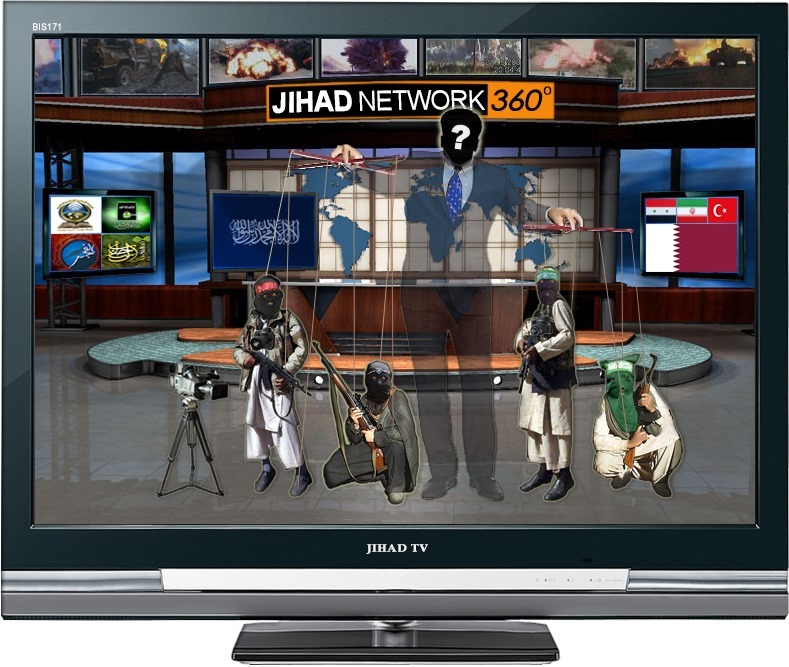 Nevertheless, the cases of Al-Zawraa TV and Al-Rai TV provide important hints of how international media and news outlets that utilize multinational satellite broadcasting networks are operating in the service of jihadi organizations, undoubtedly with the full approval and the active sponsorship of sympathetic nation states. This paper was co authored with Dr. Alshech and was originally published by MEMRI. Al-Zawraa TV, the pro-Sunni satellite television channel owned by former Iraqi MP Mish’an Al-Jabouri, broadcased via satellites operated by the Riyadh-based Arabsat. Al-Rai TV broadcasted from Syria via the Eurobird 2 satellite, which belongs to the European Eutelsat company, as well as via the Atlantic Bird 4 satellite, which also belonged to Eutelsat, but was leased in September 2005 to the Egyptian Nilesat company, and is now called Nilesat 103. Channel owner Mish’an Al-Jabouri is known to have close operational and financial links to insurgency groups in Iraq. See MEMRI Special Dispatch No. 2054, “In the Footsteps of Al-Zawraa TV, a Channel. Affiliated with Al-Qaeda and the Saddam Regime Broadcasts Anti-U.S. Terror Attacks – This Time from Syria,” September 17, 2008. Dissemination of information to a narrow audience, not to the general public.